Skoki Lodge is a backcountry lodge at an elevation of 7,100 feet (2,164 meters) in the high alpine of Banff National Park, only accessible by hiking or skiing the 11 kilometre trail that begins at the Lake Louise Ski Area. 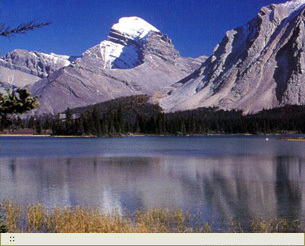 Skoki Lodge's trailhead is located just east of The Village of Lake Louise in Banff National Park. Located approx. 184 km (115 miles) west of Calgary and 60 km (36 miles) west of the town of Banff. The GPS coordinates for Skoki Lodge are: 51' 31'23N and 116' 04'35W (these are accurate within 30 meters). Note: Mountain bikes are not allowed up the Temple Fire Road. The Skoki Lodge staff are unable to provide up to the minute Avalanche and Weather forecasts. We advise guests to seek additional information prior to their departure to the Lodge from either Parks Canada or Avalanche Canada. It is also recommended that if you plan on venturing into avalanche terrain during your stay that you do so only if you have received the proper training from a reputable program, travel with experienced partners, have an emergency plan, and carry the necessary equipment (avalanche transceivers, shovels, and probes).